Give your workforce full mobility with an asset management system that can be used on any mobile device both online and offline. One of the most important features of any industrial or municipal work order management software is that it be able to be used by workers in the field, who may or may not have access to an Internet connection. LLumin’s enterprise asset management software (EAM) and materials management suite have been re-written in HTML 5 to make them natively mobile with or without an Internet connection. The entire enterprise asset management and materials management suite of modules is natively mobile, meaning that our SAAS solution can be fully used by personnel in the field who have Wi-Fi connection. 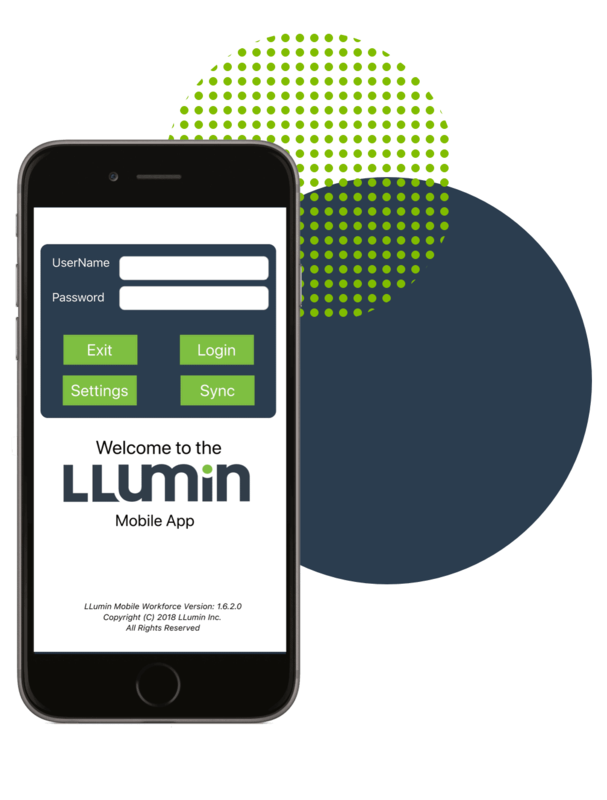 LLumin also provides a streamlined, disconnected mobile suite that can be downloaded onto mobile devices from the Apple and Google stores. These mobile apps, fully compatible with Android or Apple IOS devices, offer the most important features and functionality of our maintenance and Materials Management suites with no need for an Internet connection to run.